"a person who teaches, especially in a school." This is the definition of a teacher, as defined by Google. Our ideas of who a teacher really is, are heavily flawed. As far as my understanding of the concept of a teacher goes, every single one of us is a teacher in some capacity. Be it a family, acquaintance, colleague, friend, or your enemy for that matter. The journey of learning is eternal and it's quite surprising how the entire world comes together to be a part of it without even you realising it. 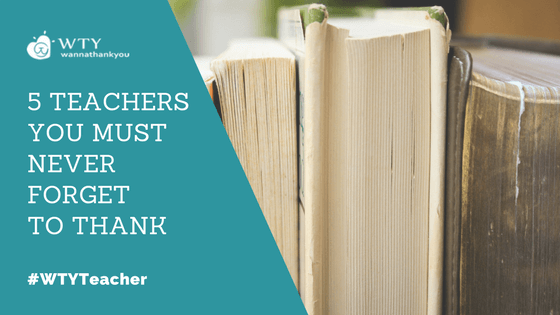 So, to make it easy for you, we have listed five kinds of teachers who come across your lives to teach you something worthwhile, whom you must never forget to appreciate. Parents: Needless to mention how parents are undeniably our first teachers. Every parent has a unique way of imparting their wisdom to their children. It's because of the supportive environment they have created for us, that we have learnt so many emotions unconsciously. It is that sight of my mother waiting at the school gate every single day, without fail to accompany me home, that taught me how to count on someone and also how to live up to someone's hopes. My father has always been overly rational about our demands. Every time I asked for Pringles, he would buy me a packet of Lays. Not because he couldn't afford the former but because it was his way of teaching us humility. And thus we grew into humans who value things and more than that we value emotions attached to them. I wonder if there could be a way that would suffice the enormity of gratitude I feel for them. First friend: Not all of us are fortunate enough to enjoy the company of that "first friend" all through our lives. 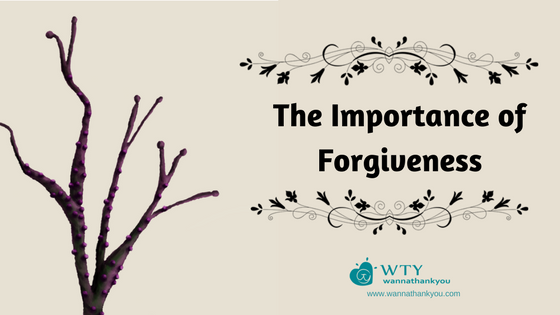 However, what we learn from them leaves a huge imprint on our characters. If I had to say what I learnt from my first friend I would say 'curiosity'. Cheers to all the crazy experiments together! Although they fetched us a good deal of thrashings from our mothers, we at least had our share of learning. Every lesson in physics materials to real-life experiments otherwise how was an eleven-year-old supposed to know how a pin-hole camera worked? 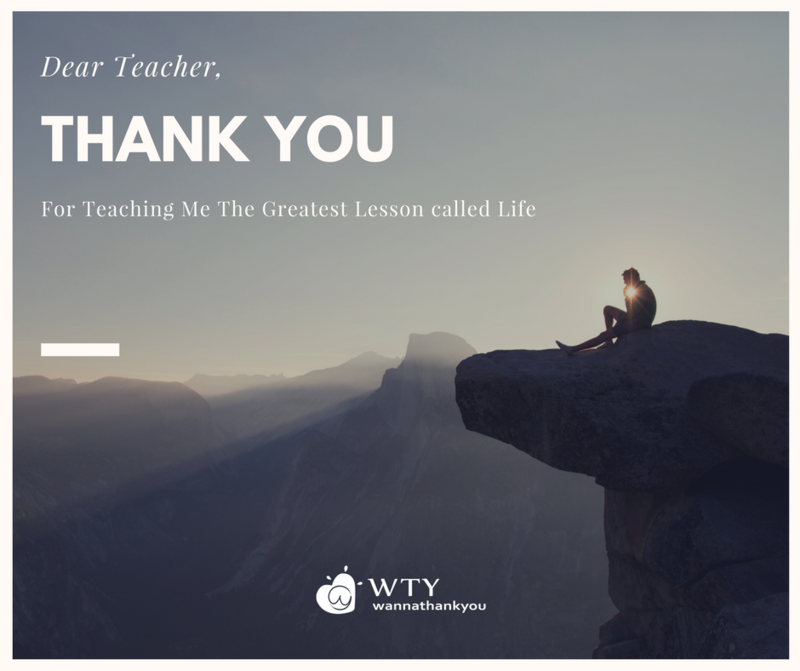 "Thank you, teacher" for making me a lot more smarter than I would have been without you. The teacher who never gave up on you: Most of us have been average students in school. But there was always a teacher who made you realise, how different you were from the rest of the crowd. Few kind words and a gentle pat on the back is all it takes for a child to believe that he can conquer the world. It's time, we look back and thank that teacher for distinguishing the winner in you. The guide who helped you push your own boundaries: We have all had a coach, a guide or a mentor who has been overtly pushy about our performance. Sometimes it has even infuriated us. My guide rejected my research project calling it a "clerical work" like any other human I was furious but then I realised he couldn't be any more correct. What followed was pretty obvious. I thought harder and came up with a subject that was much more relevant and made more sense any given day. Most importantly I accomplished something I was proud of. I am sure we can relate to this situation in some or the other way. The colleague who made work feel like home: The transition from being a student to becoming a working professional could be as tricky as sitting in the cockpit of a plane trying to fly it when you know nothing about aerodynamics. Not having a supportive colleague could make it even worse. Reimagine your first day at work without the colleague who walked up to you and made you feel like home. Who trained you about the not so spoken about dynamics of your workplace. Let us all express our humble gratitude to them, for their absence could have flipped your experience upside down. This teachers day, spare just one minute out of the 1440 minutes to express your gratitude to the best teachers of your life - The ones who guided you, motivated you and never gave up on you.